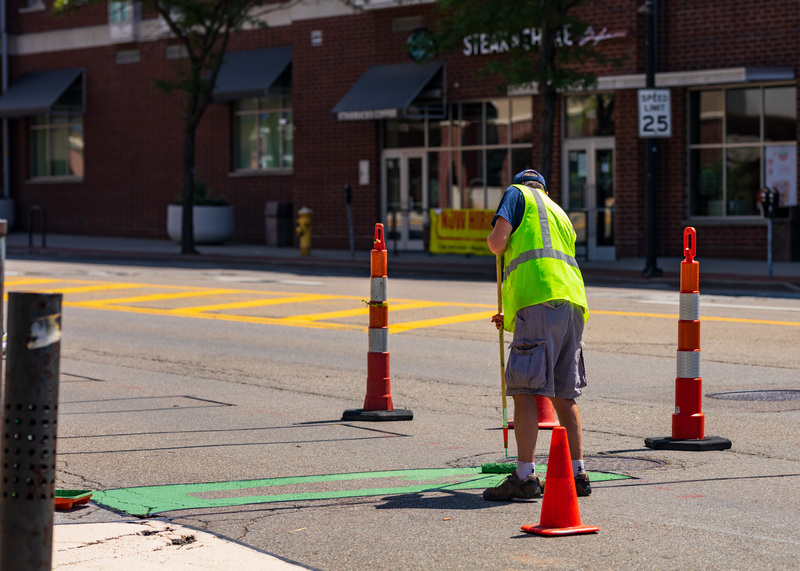 Street Plans is in the final stages of finishing Let’s Ride JC, Jersey City’s first bicycle master plan. 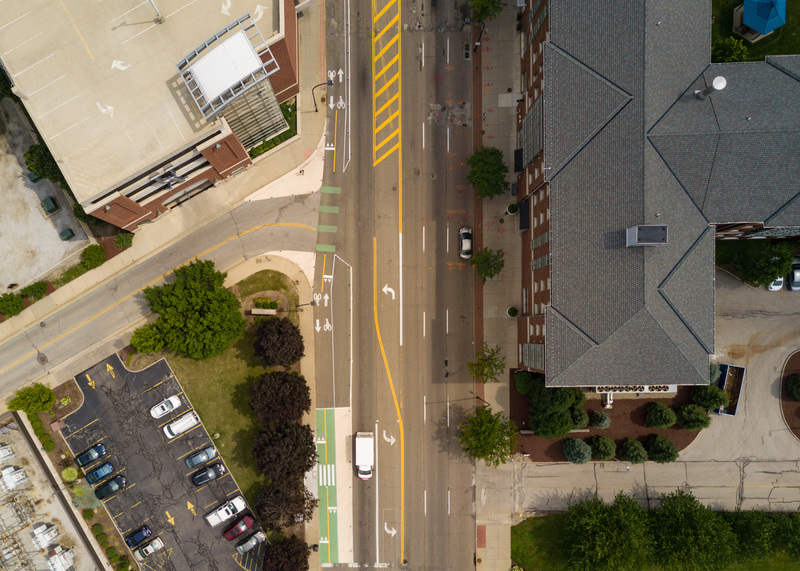 The project team unveiled the draft plan to the public on April 2nd, which included a large-scale 16’x24′ network map captured by this short Streetfilm. 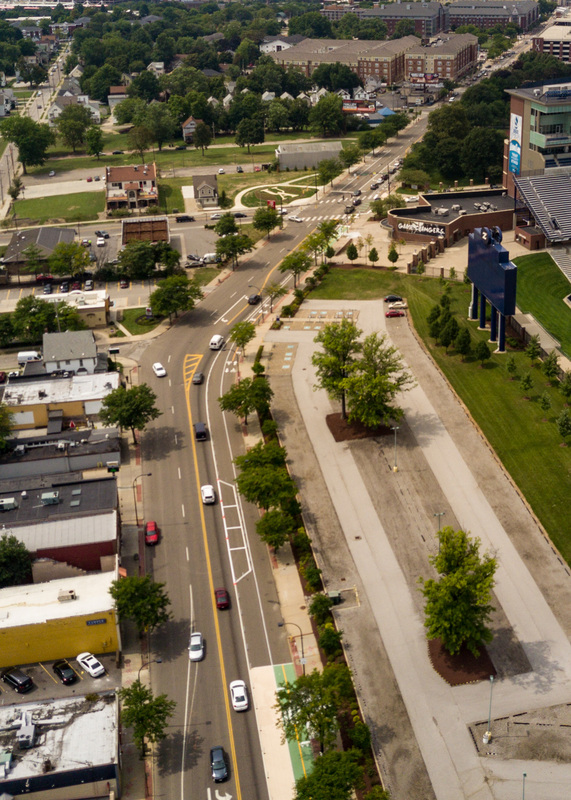 All project documents, included the draft master plan may be accessed here. 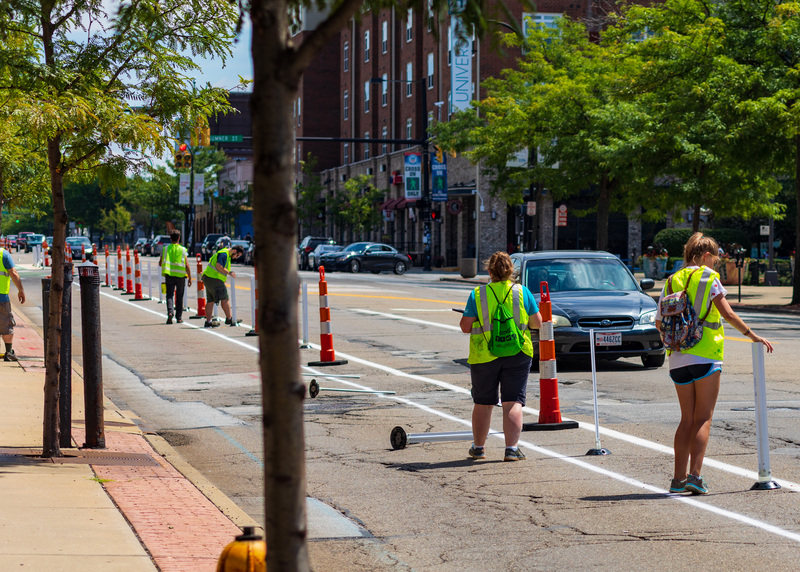 From Saturday, August 11th to Sunday, August 12th Street Plans, the University of Akron, and about 50 total volunteers installed a two-way protected bike lane on the north side of East Exchange Street between Arc Drive and Goodkirk Street. 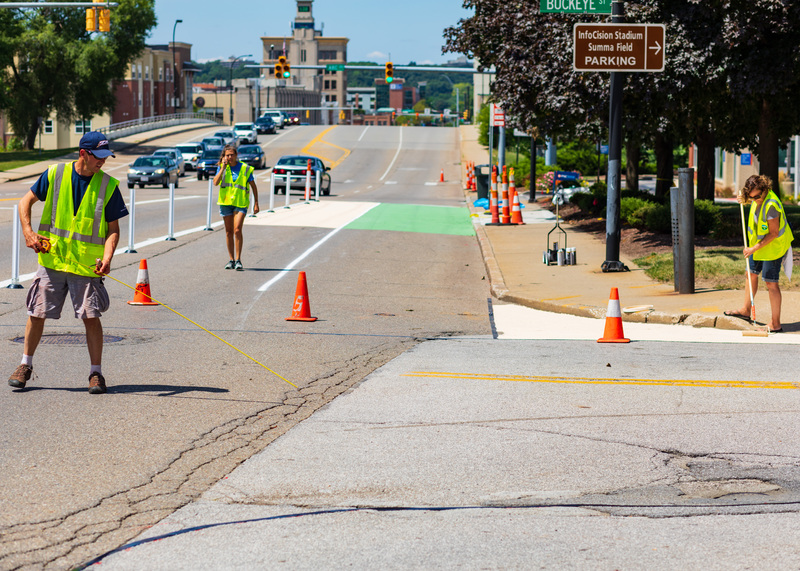 Funded by the Knight Foundation, Hands on Exchange tested new bikeway infrastructure on this portion of Exchange Street in anticipation of the City-led redesign of the street to take place in 2022. The project kicked off in the Fall of 2017. 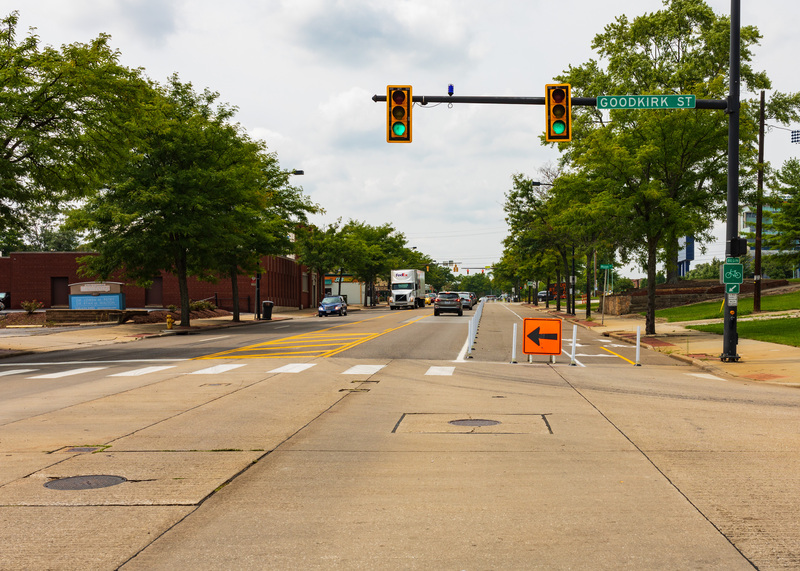 Street Plans conducted two public workshops over the course of the design process to solicit ideas from the community, and worked alongside the City of Akron and METRO to carefully incorporate the bus routes along the corridor. 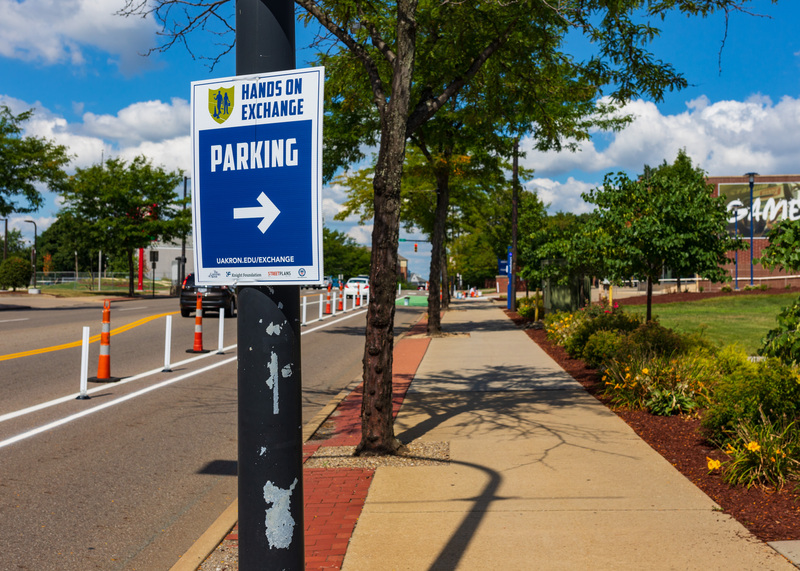 After several meetings, four bus stops were either relocated or consolidated to make for more efficient traffic flow along Exchange Street, and the design of the bike lane at the bus stops was finalized. 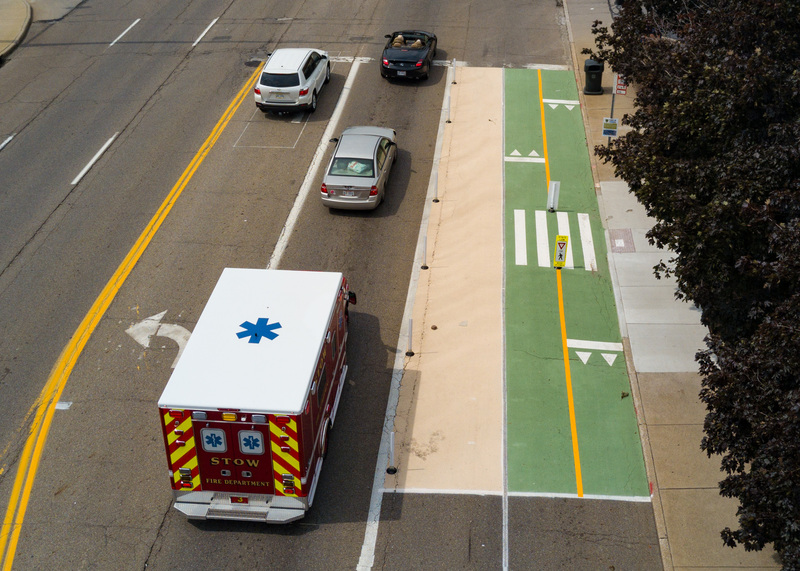 The City installed curb ramps at the bus stops to allow for people to safely cross the bike lane to board the bus– which no longer had to pull to the curb at each stop. 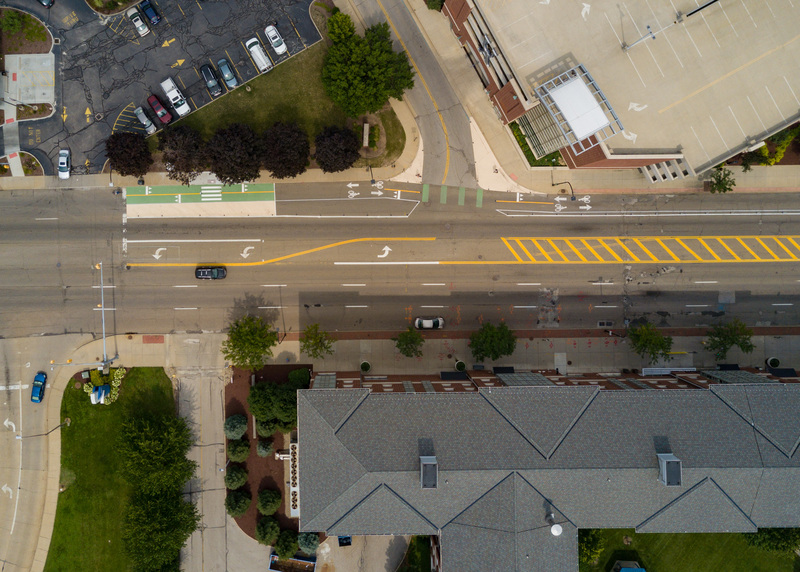 The goal was to incorporate multiple transportation modes (driving, biking, walking, and transit) in such a way that each would be aware of the other, and inform the design of future projects. About 9,000 sq. 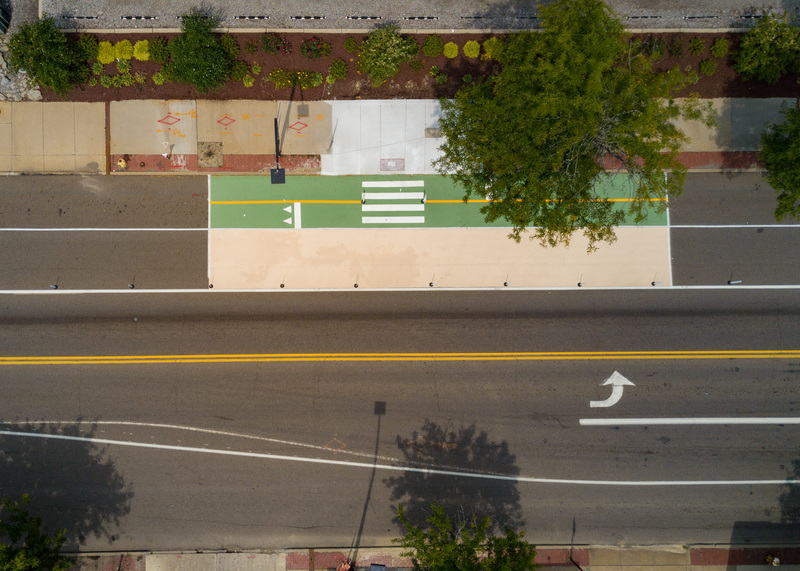 ft. were painted with green or tan traffic paint and about 380 flex stakes were placed along the .75-mile route to bring this project to life. Local businesses along the corridor sponsored free drinks, lunch, and snacks during the build days to all the volunteers that joined the project team. 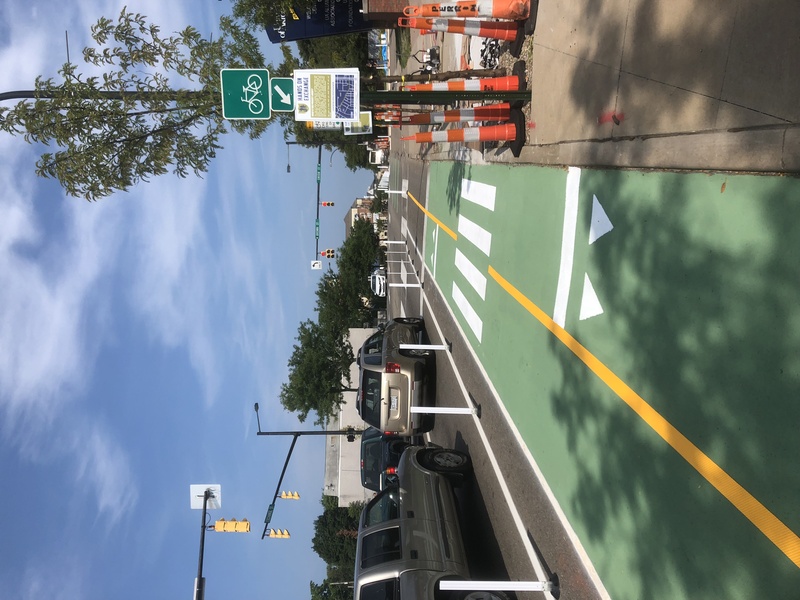 To execute the project, Street Plans established four stations at the beginning intersection of each segment of the bike lane, and had volunteers work from west to east until each task for each station was completed. Eighty percent of the work was completed in the first day! 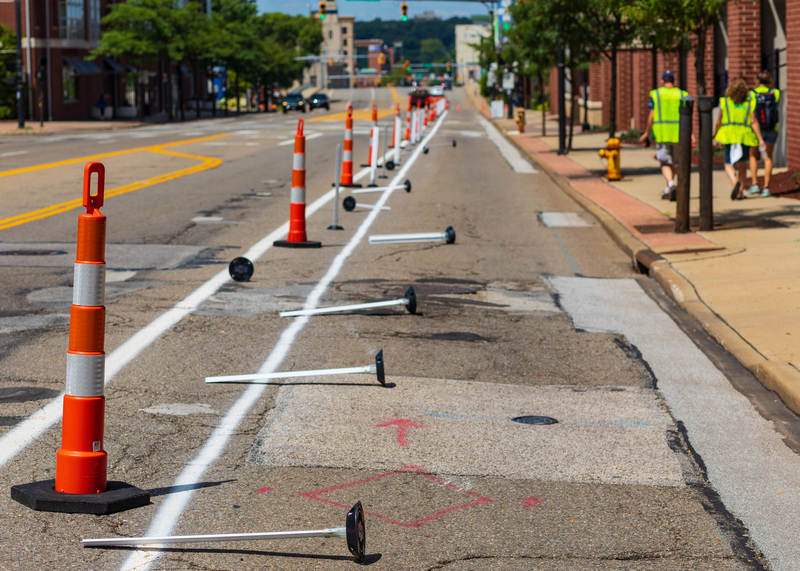 The project culminated in a bike party celebration on Friday, August 17th, attended by 100 community members and hosted by the University of Akron. 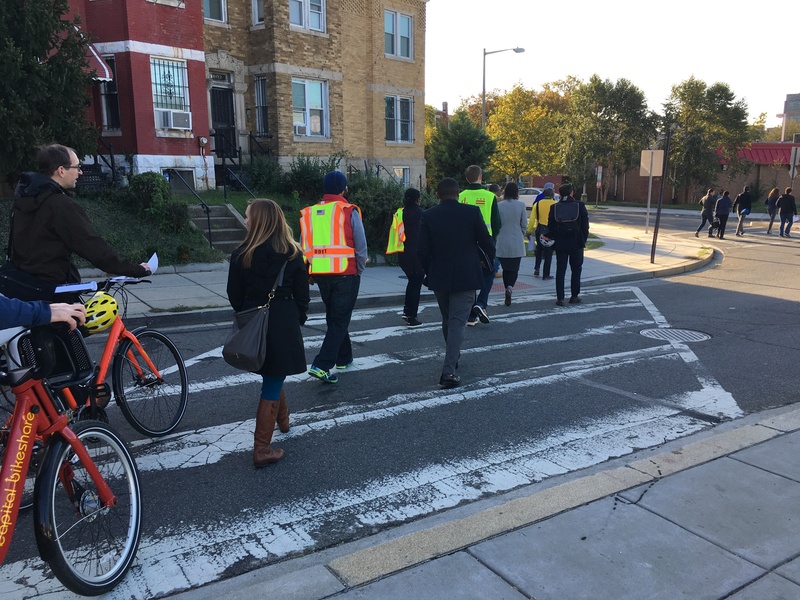 The party had live music, food, and included a celebratory ride with attendees down the bike lane. 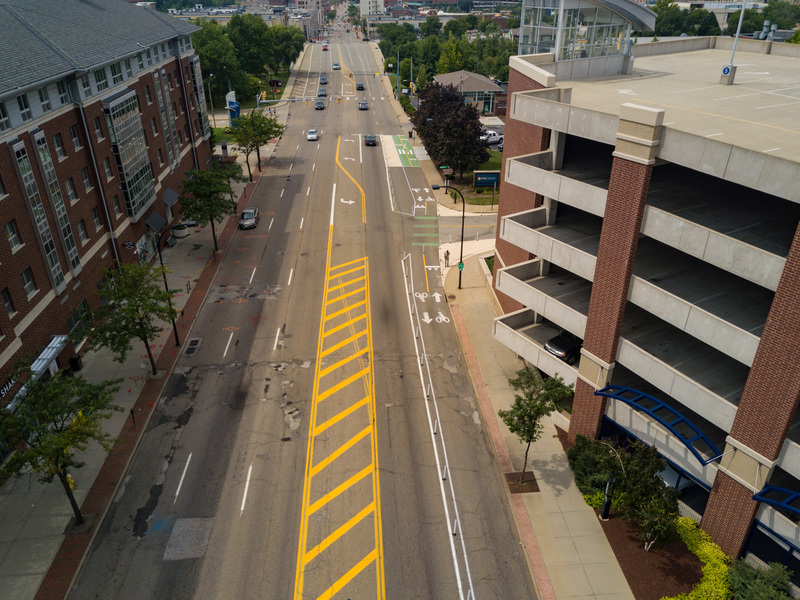 The project team hopes that this project not only further informs the City of Akron’s efforts to create multimodal streets, but that it also makes Exchange Street a safer place for all users. Check out some photos of the installation during the build days and of the final product below! Miami, FL – Pedestrian plazas. Parklets. 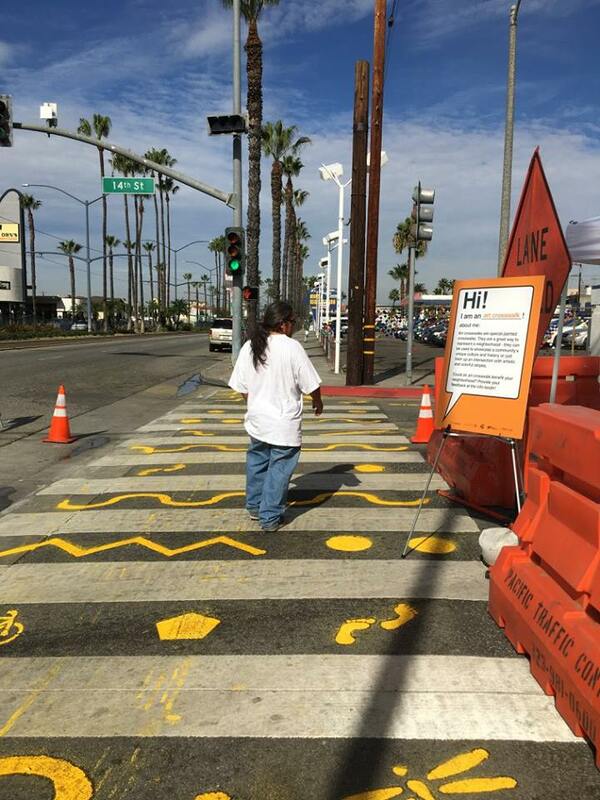 Art Crosswalks. 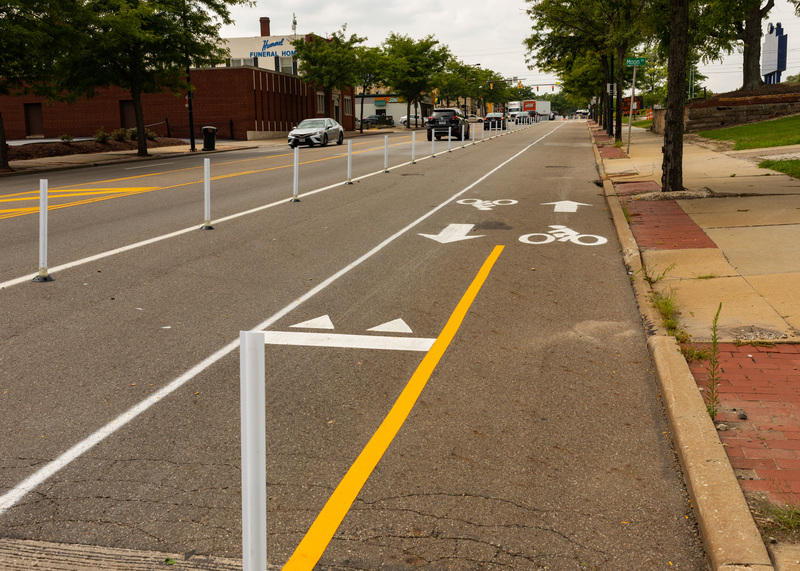 Pop-up Bike Lanes. 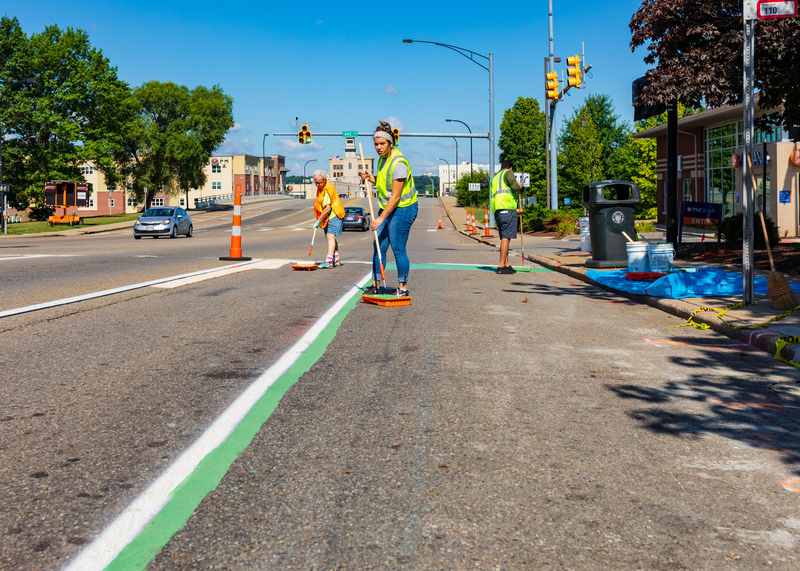 Whether on the streets of your own community or elsewhere, you’ve likely seen it for yourself: cities and citizens around the world are using low-cost, short-term projects to advance long-term planning goals. 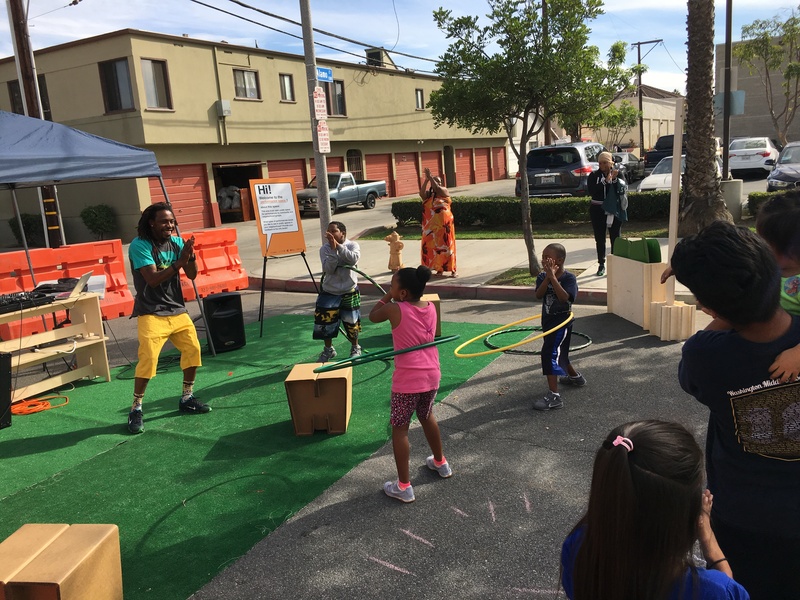 Often referred to as “Tactical Urbanism,” this approach represents a growing urban design movement focused on leveraging small, scalable interventions to improve the livability of towns and cities. 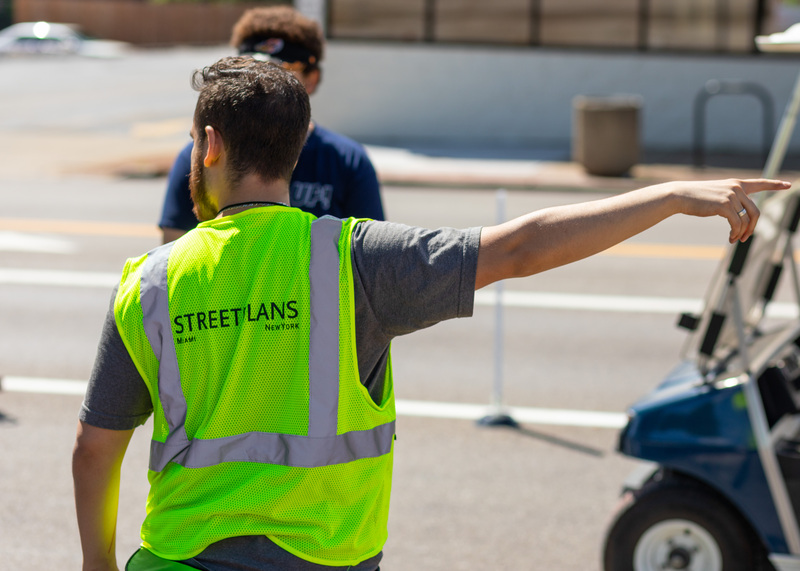 With funding from the John S. and James L. Knight Foundation, the Street Plans Collaborative today announced the kick-off of a workshop series that will jump-start Tactical Urbanism projects in six cities across the U.S. 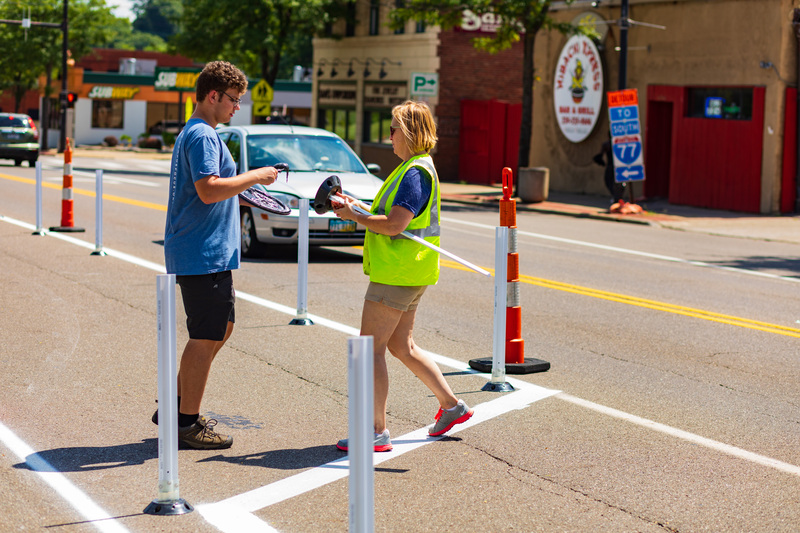 The six “beta cities” were chosen from a pool of 18 applicants interested in expanding local capacity for using Tactical Urbanism to advance street safety and placemaking projects such as pedestrian plazas, bike lanes, shared streets, and more. The six beta cities are: Akron, OH; Austin, TX; Fayetteville, AR; Long Beach, CA; Washington, D.C.; West Palm Beach, FL. 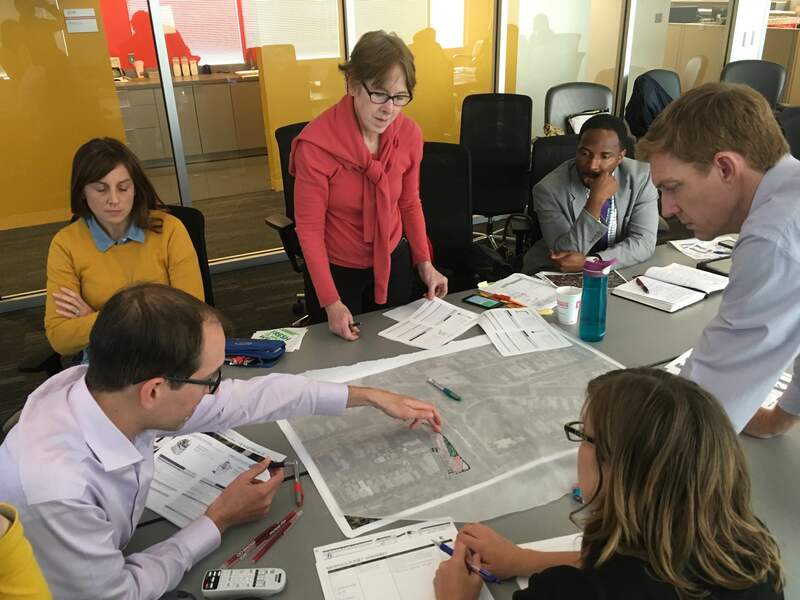 Leaders in each of the selected beta cities will work with Street Plans to design a workshop that shares the firm’s latest research regarding best practices around design and materials for Tactical Urbanism projects, and demonstrates application of the information through a hands-on project that transforms a local street or public space. 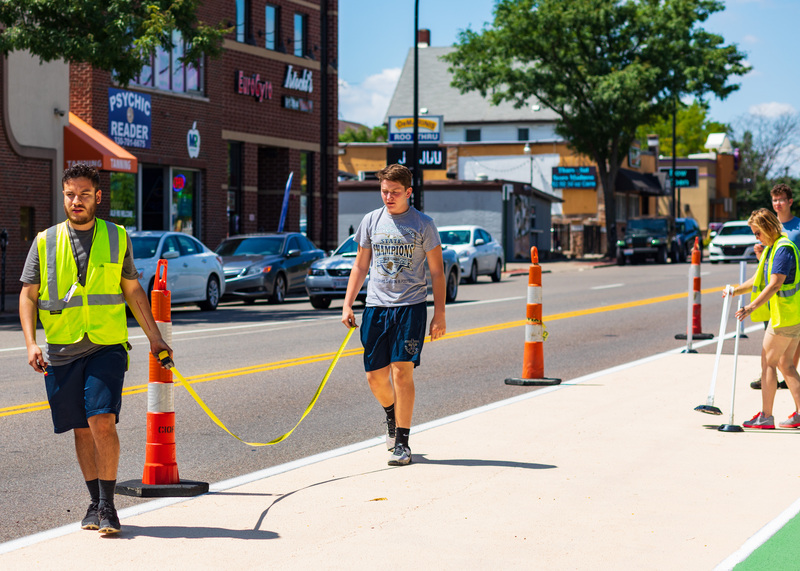 The workshop series represents the first practical application of Street Plans’ work on the Tactical Urbanist’s Guide to Materials and Design – a new print and digital resource that will provide high-quality design and materials guidance for Tactical Urbanism projects. 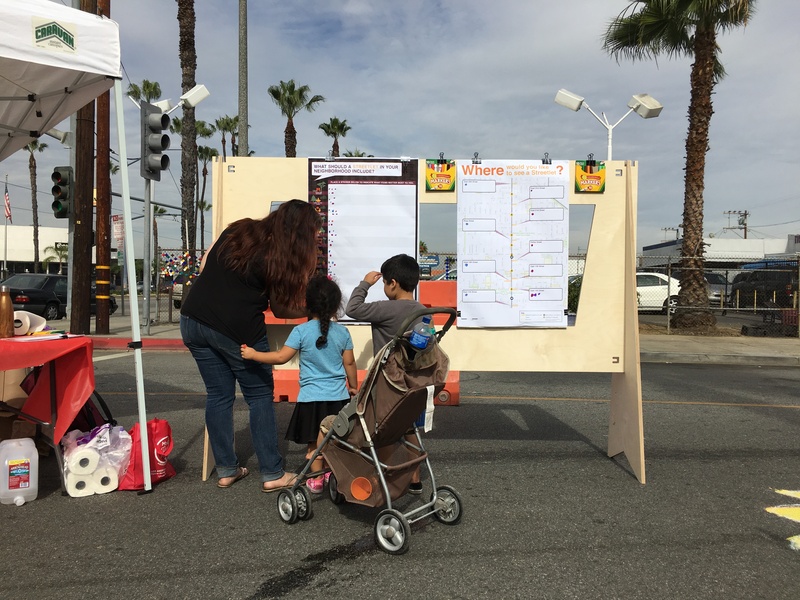 The Guide and workshops will provide information about materials and design for both short-term demonstration projects (typically led by community groups and lasting 1-7 days) and pilot/interim-design projects (typically led by city governments and lasting one month to a year or more). 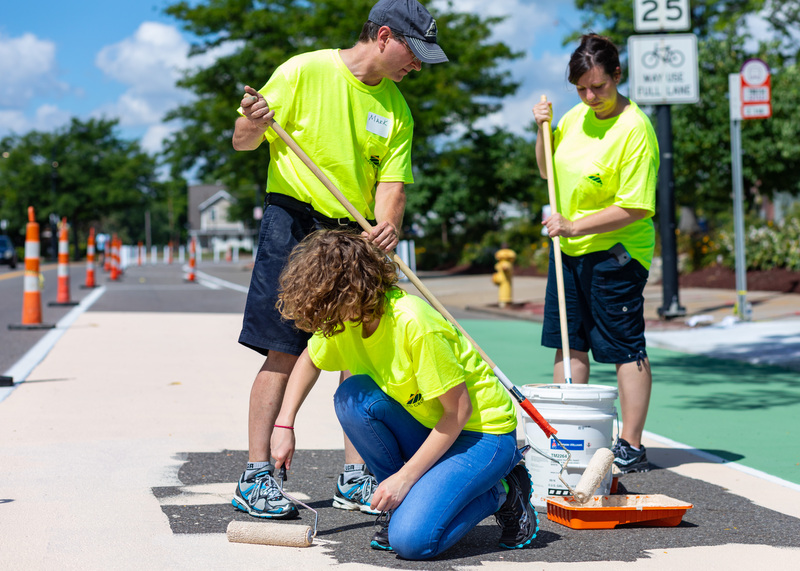 “Cities can invite more of their citizens to help shape their communities. 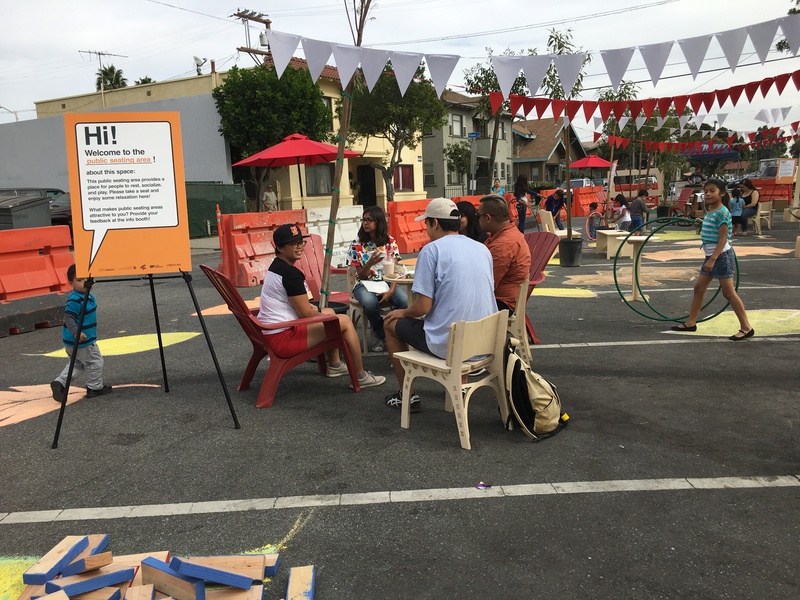 The Tactical Urbanism Workshops and the Manual will open up new channels of civic engagement,” said Benjamin de la Peña, Knight Foundation director for community and national strategy. Mike Lydon joined four other speakers Monday night to discuss the future of transportation in Boston, specifically complete streets, equity, connectivity, and emerging technology. 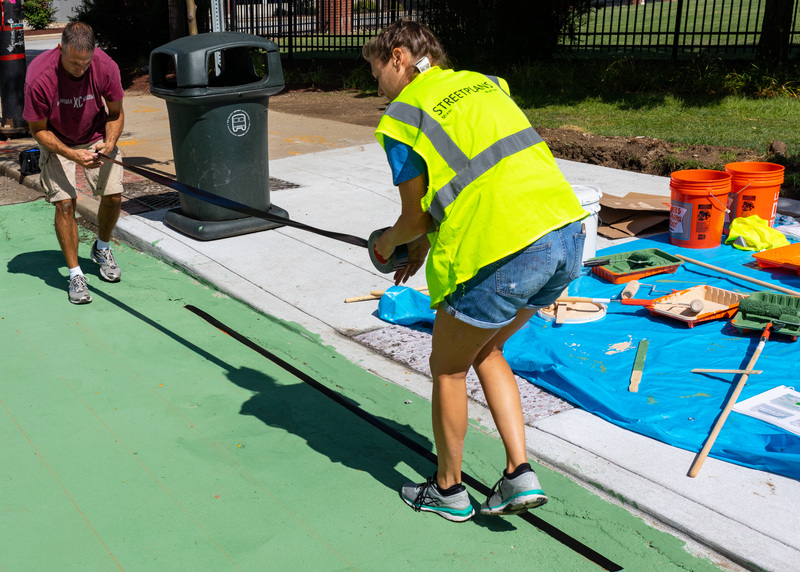 The event was one of multiple public events the City of Boston has held to collect public input, and encourage support for, its GoBoston2030 plan. Learn more about GoBoston2030 here.